To find the first part of the story, look here. Dave and Christine took their daughter Sara to the Emergency Room to make sure there were no serious injuries. Once they cleaned up her fur, there wasn’t too much damage. One cut that needed a couple of stitches was about it. Once they were home and Sara was in bed, Dave and Christine started talking about Buzz. Dave: The man is a nightmare. The piranhas are bad enough. But he’s helping the humans destroy capybara land. He’s an embarrassment to our species. I’m going to talk to the lawyers tomorrow to see what we can do. 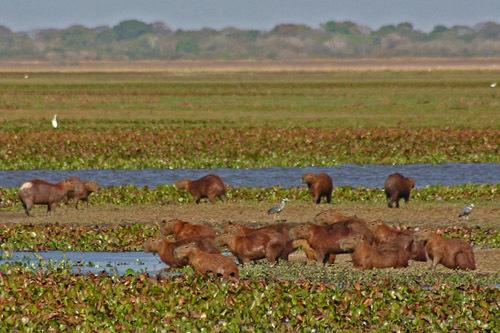 Christine: All those poor capybaras. I wonder what’s happening to them. Dave (sarcastically): Don’t ask Buzz. He’s probably selling them to tourists as pets. Christine: Don’t even joke about that. The next morning, Christine and her friends got together to talk and watch their children play. Of course, the main topic was Buzz. Priscilla: How is Sara? She looked pretty scared last night. Christine: She’s fine. Of course, she’s not happy that they had to shave her fur to put in the stitches. I told her it would grow back, but I don’t think she believes me. Sue (giggling): Did you smell him yesterday? I couldn’t imagine what he had gotten into his fur. I took him aside and told him that he might want to wash it off. I was trying to be discreet. Do you know what he said? Sue: He said it was called cologne. He got it from a human. Then he asked me if I had noticed that his fur was extra shiny. He said there was something called gel in it. I think he wants to be human. Christine (embarrassed): Babette! How nice of you to stop by. Babette: Please call me Julie. I hate that name. Anyway, I wanted to see how Sara was doing. I brought her a ball. I feel terrible about what happened last night. I told Frank those fish were an awful idea. Christine: It’s OK. Men get strange ideas sometimes. Julie: Well, I hope his humans enjoy the fish stew I sent over. Those piranhas won’t be bothering anyone else. Darlene: Isn’t Buzz going to be angry? Julie: I don’t care anymore. 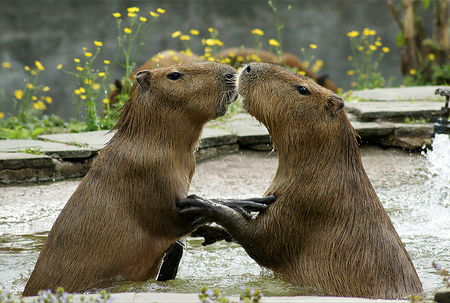 I don’t even recognize the capybara I fell in love with. He was so sweet and loving. He wouldn’t hurt a flea. Julie: He went to one of those seminars that teach you how to make millions as a salesman. He decided that was what he was meant to do. Unfortunately it was run by a logging company. He fell in with a bad bunch of humans, and that was it. Julie: That’s OK. I just wish he’d never started all this. I can’t make him see that the money isn’t that important. Priscilla: Doesn’t it bother him that he’s hurting his own kind? Julie: He was really torn up about it at the beginning. But now he spends so much time with the humans that he doesn’t even think about it. I wish I could destroy that company and move back near my friends in Coconut Shores. Sue: Hmmm. I was an accountant before I had Charlie. 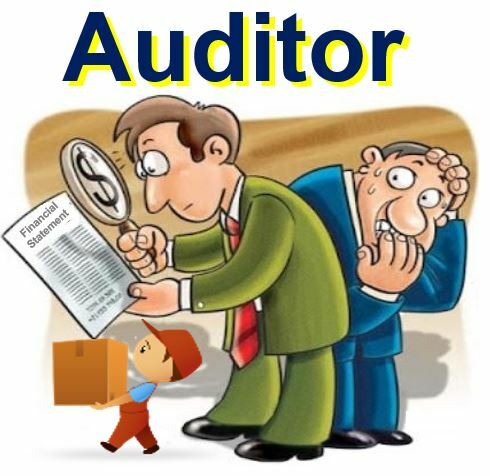 I wonder what would happen if Buzzco had its books audited. Who’s in charge of his recordkeeping? Julie: I used to do it, but since he started making so much money he won’t let anyone else touch the accounts. Sue: I thought that might be the case. Let me talk to some friends. Christine: Did you talk to the lawyer? Dave: Yeah. There’s not really anything we can do. Apparently everything Buzzco does is legal, if unethical. And it’s not illegal to be a slimeball. Christine: I think Sue has an idea. She’s going to try to get his financial records audited. Julie says he won’t let anyone else look at them. Dave: Julie? You mean Babette? Christine: She wants to be Julie and move back home. She’s very sweet and totally fed up with Buzz. She wants Frank back. Dave: Is she sure she wants him? Christine: Apparently he was a nice guy before he got rich. 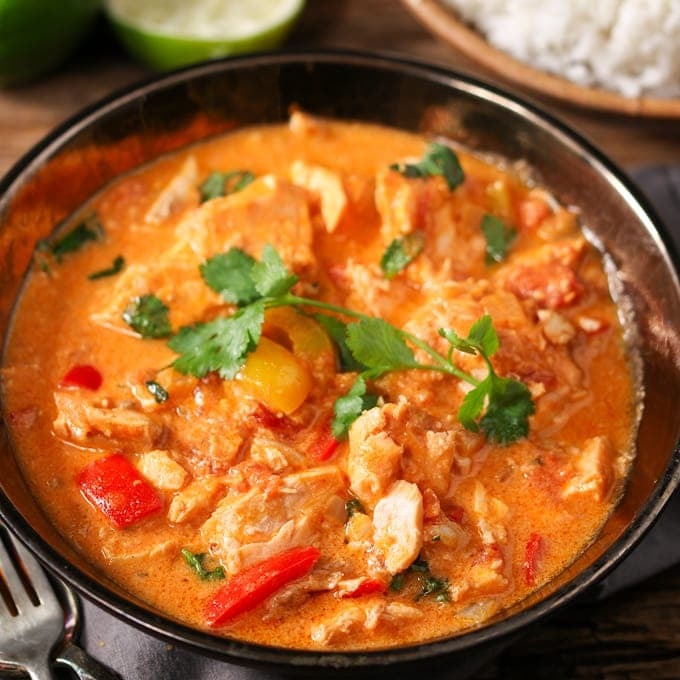 I almost forgot – she turned his piranhas into stew and sent it to his human friends. Dave (laughing): I guess she is all right. We can wait to see if Sue’s right. One day, Dave saw Buzz down by the water. Dave: So Buzz, how’s life in the fast lane? Buzz: I’m losing my company. Buzzco’s history. Dave (trying to hide his excitement): What happened? Buzz: Turns out it wasn’t such a good idea to do my own accounting. 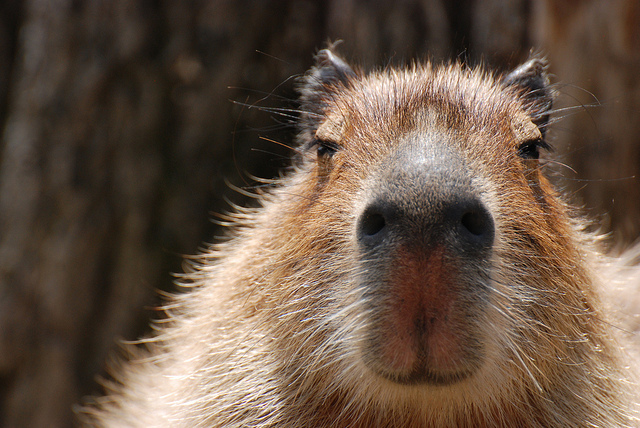 Apparently capybaras aren’t allowed to keep their money in human banks. Some stupid tax rule. The taxes I owe to the humans wiped out the company. Julie was right – I never should have trusted them. Dave: So what are you going to do? Buzz: We’re going back to Coconut Cove. My brother has a construction company. Guess I’m back to being Frank. Dave: How’s Julie with all this? Frank: She’s thrilled. She’s been missing her old friends. She even told me what happened to the piranhas. I never really believed that someone took them because they were jealous. 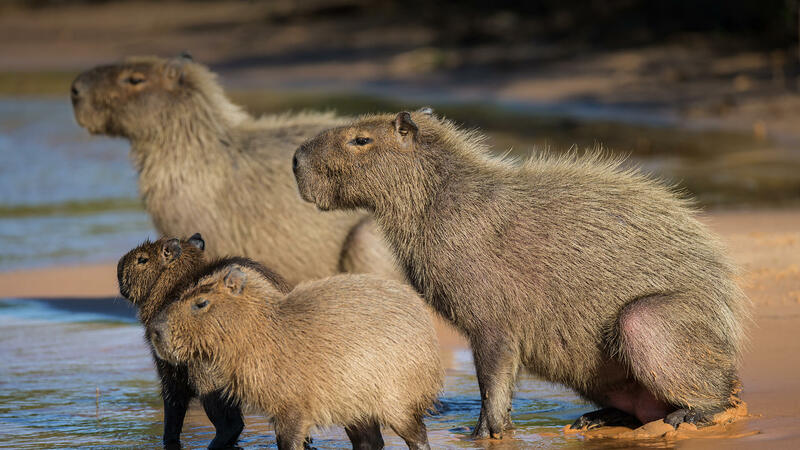 The capybaras threw a wonderful going-away party. They all promised to keep in touch. 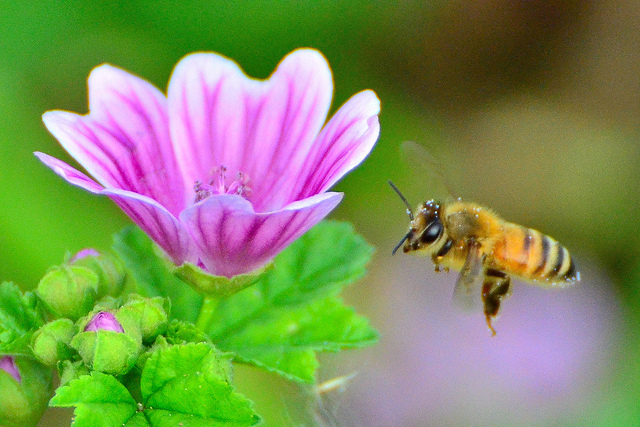 And they laugh when they hear a bee buzzing. Wonderfully told cautionary tale worthy of Joel Chandler Harris 🙂 Thank you! Piranhas? That sounds exotic! I’m so glad Sara made full recovery.